Which is stronger, an African bush elephant or a dung beetle? Of course, African elephants are the largest animals on Earth. But considering the strength to weight ratio, many small animals are much stronger than large animals. Here, the list of 10 strongest animals in the world based on strength to weight ratios. Considering the power to lift the weight, Eagles are strongest birds in the world. Eagles have powerful feet, large hooked beaks, and sharp talons. It lets them lift off preys that weigh four times their weight. 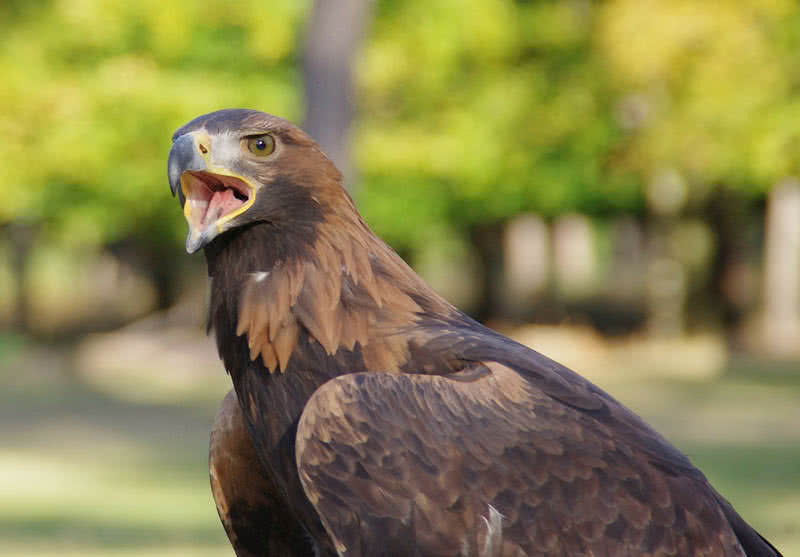 Eagles are known for hunting foxes, deer and wildcats. Eagles are also regarded as a symbol of power, freedom, and victory. There are 60 different species of eagles in the world. With their strong and broad wings, eagles fly up to a height of 10000-15000 feet. They can also glide for hours without rest. Unlike other birds, eagles love the storms. They use the power of wind to fly higher. These fearless hunters also have a strong vision. Their eyes have more light sensitive cells than human’s. So, they can easily spot preys and enemies from long distances. There are four types of Anacondas in the world – green Anaconda, yellow Anaconda, darky-spotted Anaconda and Bolivian Anaconda. The green anaconda is the largest and heaviest known snake in the world. 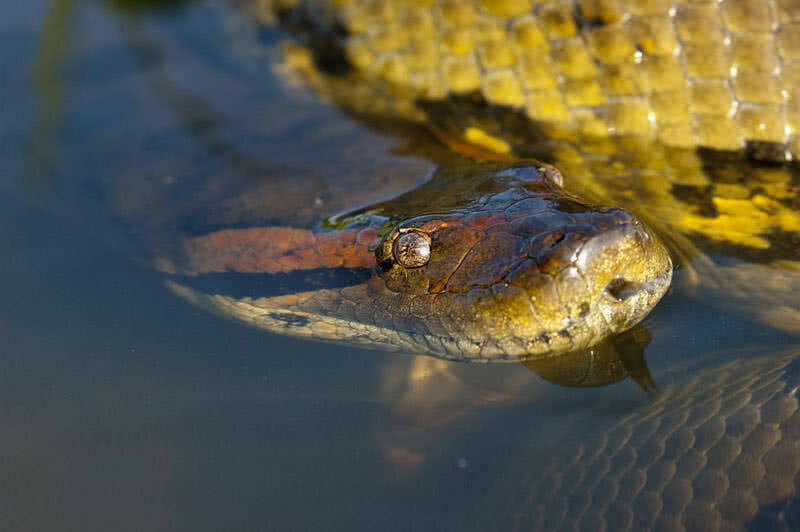 Green Anacondas can grow more than 30 feet in length and weigh up to 227 kg. Anacondas belong to the family of non-venomous constrictors. Anacondas coil their heavy-built body around the prey and squeeze it to death. Then they swallow the dead prey by the whole. The size of prey is not mattered for Anacondas. They can squeeze even large preys such as wild pigs, jaguars, and caimans. The Grizzly bear is one among most massive and powerful animal in the world. They found in various inhabitants across Canada and Northwestern United States. 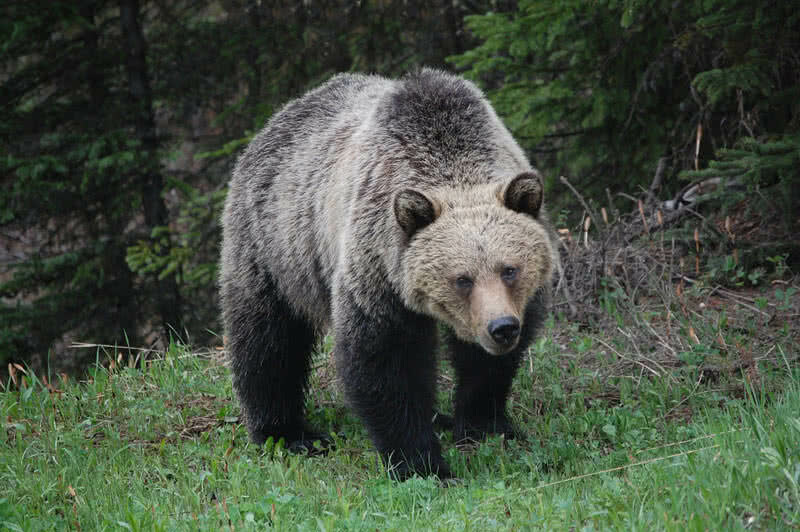 Grizzly bears can reach a maximum height of 2.5 meters and weigh up to 350 kg. They have a big head, 6 inches claws, and muscular hump. 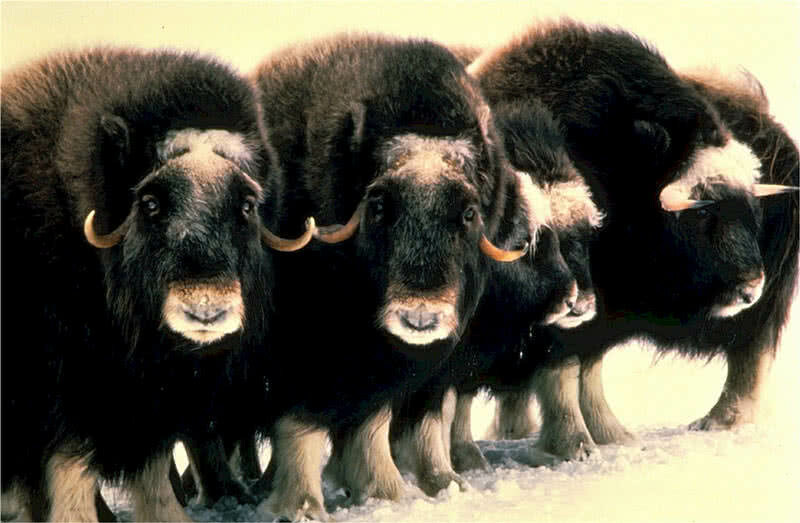 They also have strong teeth and their bite force measure 1200 pounds per square inch. Such a sharp bite could even crush a bowling ball. Grizzly bears get irritated very quickly. They will attack any animals that seem like a threat. In fact, this immensely powerful animal can beat any animals in the fight. Grizzly bears are very aggressive, especially when their cubs get attacked. Oxen are also known as Bullock in some countries, a larger and stronger breed of cattle. Oxen have been working as a draft animal since 4000 B.C. Oxen are commonly adult males. They have a body length between 2-2.3 meters and weigh up to 640 kg. Oxen are strong enough to carry a weight up to 800 kg. Oxen are mainly used for plowing fields and pulling carts. They can carry a heavy load for an extended period than other draft animals. Oxen are also known for their calm temperament. Oxen are also considered as a symbol of strength, stability, and determination. Tigers are strongest and largest member of the cat family. 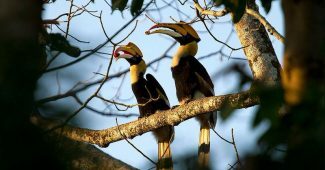 They inhabit in swamps, rainforests and grass lands across Southeast Asia. There are ten ten recognized sub species of tiger in the world. Siberian tiger is the largest of the family. An adult Siberian tiger would measure 75-91 inches in length and up to 306 kg in weight. Tigers have mighty jaws and 30 teeth in total. 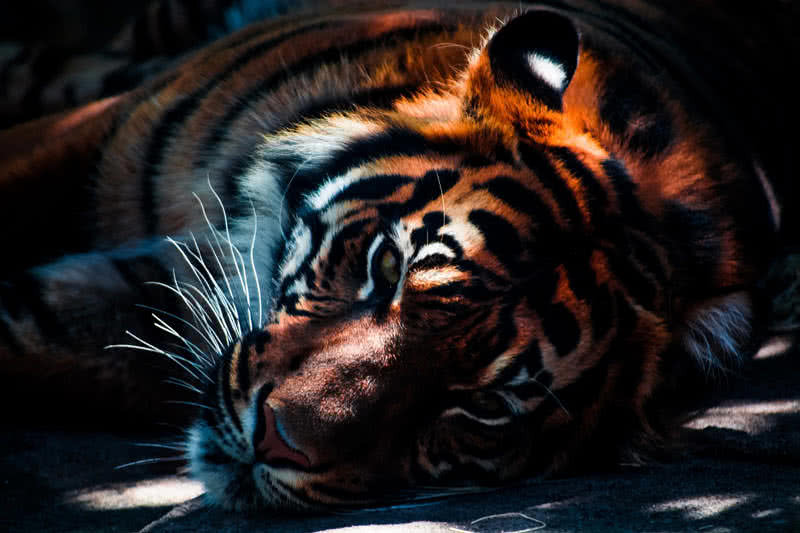 The upper canines of the tigers reach up to a length of 10 centimeters, designed for tearing flesh. Tigers are fearsome hunters and can carry up to twice of their body weight. Tigers become vicious fighters by standing on their hind legs. By considering the size and strength, they can even defeat lions. Gorillas are the largest primate in the world. They are known for their remarkable strength. Gorillas can reach 1.75 meters and weigh up to 200 kg. Compared to human beings, the arms of gorillas are very large and strong. They can carry a weight up to 2 tons that are ten times more than their body weight. The arm span of adult male gorilla’s measure between 2.2 – 2.6 meters. Gorillas follow knuckle walking, to balance their weight. They can also walk bipedally but not for a long time. Gorillas can also swing from one branch to another using one arm or two. Climbing and knuckle walking make their arms stronger. 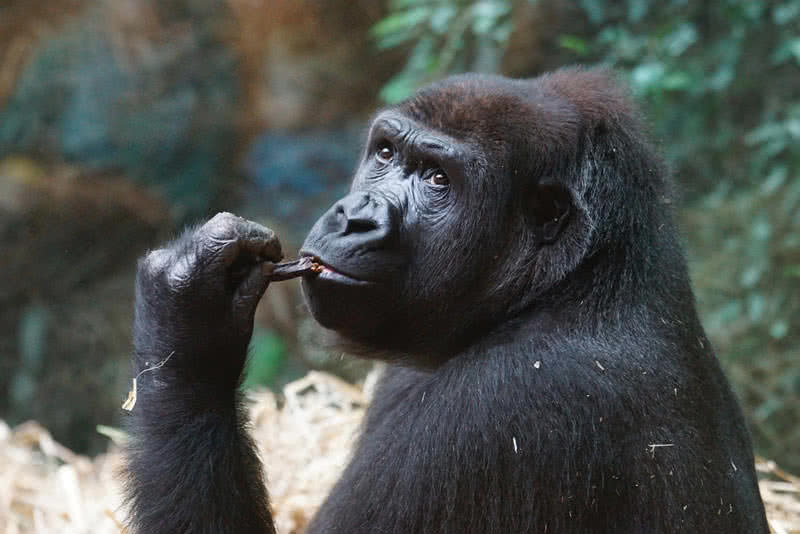 In fact, an adult male gorilla is 15-20 times stronger than a human. African elephants are the largest living land animals in the world. 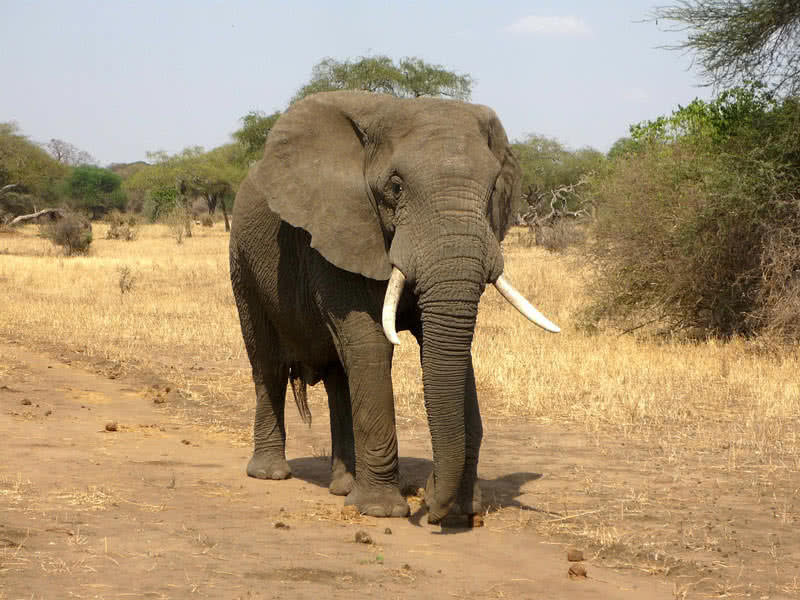 African bush elephant and African forest elephants are two species in the family. African bush elephants are the largest of all mammals on Earth. They are bigger and stronger than Asian elephants. African bush elephants can be 8-13 feet in height and weigh up to 7 tons. African bush elephants can lift up to a weight of 9 tons. Their trunk is also very strong. It contains more than 40000 muscles and tendons and can carry 200 kg of weight. African bush elephants also have larger ears than Asian elephants. African Bush elephants are also known for their long tusks. Commonly their tusks grow up to a length of 2.5 meters and weigh up to 45 kg. They used their immense tusks for digging, to defend predators and to fight with other male African elephants. The 2.1 cm long leaf cutter ants are one of the most incredibly strong creatures in the world. This small ant can carry the objects that are 50 times heavier than their body weight. The leafcutter ants can also cover remarkable distances while carrying the weight. They have remarkably powerful jaws to carry large pieces of leaves to their nests. Even though leafcutter ants are very small in size, they have a great cross sectional area of muscles than larger animals. Leafcutter ants can also vibrate their jaws at a rate of 1000 times per second. So they can produce an immense force to move large objects. Leafcutter ants also called as ‘parasol ants’ because of the unique way they carry the leaf pieces. 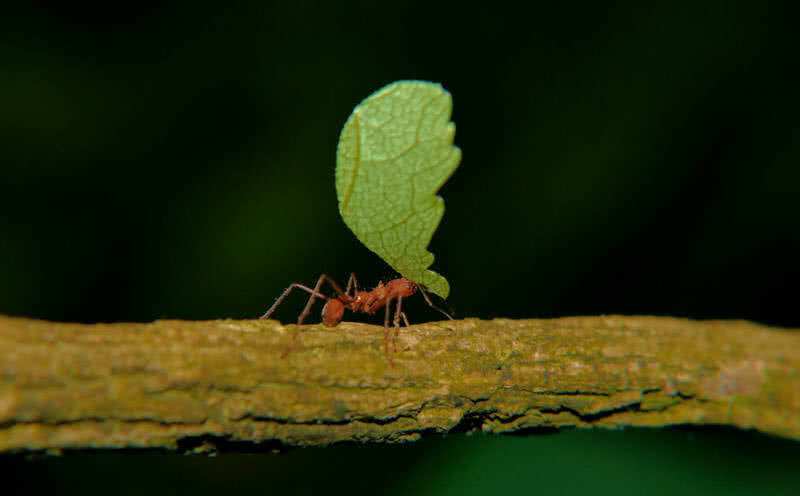 Leafcutter ants don’t feed on leaves. Instead, they use the leaf pieces as fertilizing to cultivate fungi. A colony of leafcutter ants includes millions of individuals. They also can be a severe threat to the agricultural ecosystem. Because a colony of leafcutter ants can defoliate many valuable crops and plants. 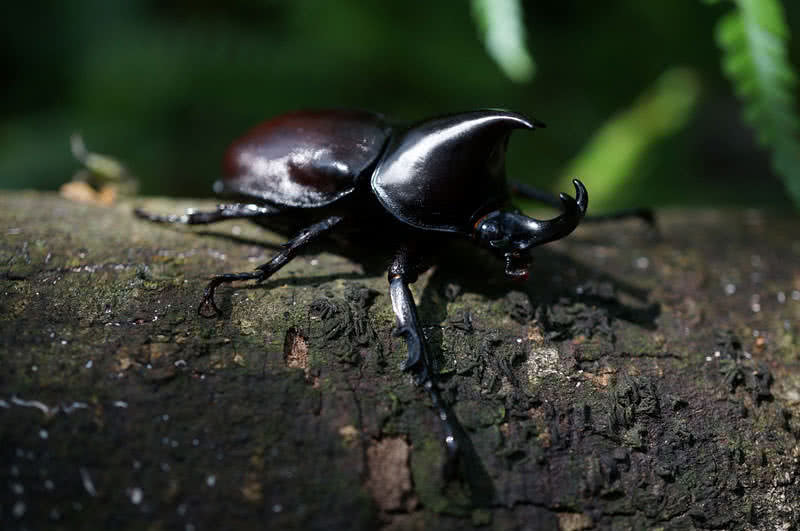 By considering the amount of weight can carry by an animal related to its weight, rhinoceros beetles are the second strongest animals on Earth. They can carry objects that are 850 times heavier than their body weight. It is like a human of average size carry a weight of 65 tons. Rhinoceros beetles are the largest group of beetles in the world. They can reach up to a length of 6 inches. Male rhinoceros beetles have two remarkable horns, one on their head and other pointing from their thorax. The horns of this species of beetle look like rhinos. The strong horns also let the rhino beetles move forward in junk floors in the forests easily. The rhino beetles also use their horns to fight with other male beetles to attract females. The half inch long dung beetles are the strongest living creatures on Earth. The male insects of this small species of insects can lift objects that are 1141 times heavier than their body weight. It is just like an average sized human carrying 80 tons. Dung beetle develops such extraordinary strength through the unusual compete for mates. 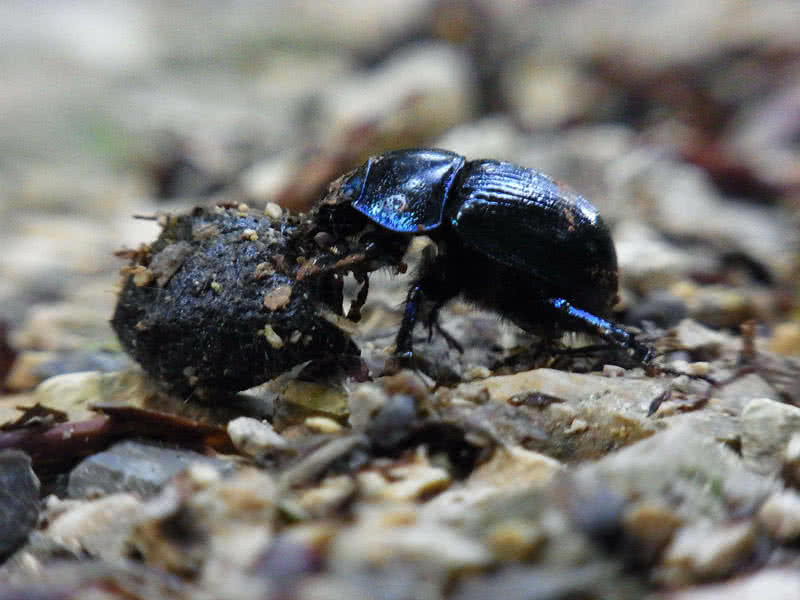 Dung beetles use their horns to fight with the potential rivals. Such fights help the dung beetles to improve their strength. As the name indicates the diverse group of dung beetle feed on the excrement of animals. They live on all continents except Antarctica. There are three main groups of dung beetles in the world – dwellers, tunnelers, and rollers. The rollers shape the dung into balls, and they roll back to the holes they are live in. The tunnelers will dig a tunnel to store the dig they find. The dwellers of the dung beetle family used to live inside the dung piles.